It is all about bright nails in the summer. I don't normally entertain orange on myself but I have had a hankering after it for a while now. 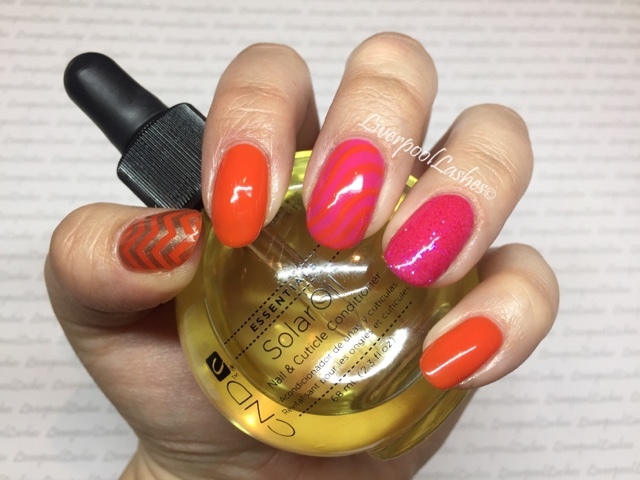 Eventually I settled for CND Shellac in Electric Orange on my thumb, index finger and little finger and I applied Pink Bikini to the middle and ring finger. 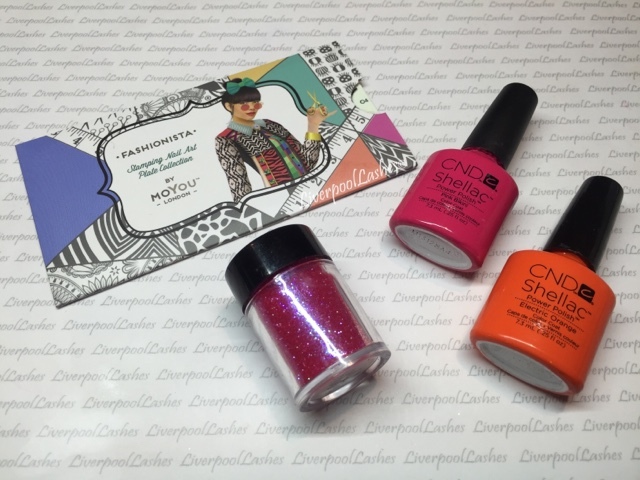 I added Lecente Glitter in Candy Pink to my ring finger, painted waves into my middle finger in Electric Orange and stamped an image from MoYou Fashonista Plate 04 onto my thumb. I absolutely love how bright and fun they are!